After long though, input and consideration Department of Subways has in fact decided how they intend to move forward with CBTC on the Lexington Avenue Line. As of right now, most of the process is still in the planning phase, however I have been able to confirm quite a few details. This story is still developing, and as more details come in I will be sure to post. Preliminary confirmed plans call for the conversion of 220 R142A’s to the new R188 standard. At this time this is only for the R142A. Many would like to know if and when the R142 will come into the fold. With the R142, because they were manufactured by Bombardier, with Alsom propulsion systems, MTA would have to plan out a convention program and contract with them for the upgrade. If and when this were to occur they trains could somehow be upgraded with current designations, or could fall under a new contract like that of the R188 with an R2XX designation. As of now I am being told no new contract may be required, but it is confirmed that the R142 fleet will be upgraded to CBTC as well. We will get to that discussion when the time comes. In the meanwhile, we are now in the planning stages for the upgrade and I will leave this discussion here for a while until the R142 comes in the fold or the contract for upgrades to the R142A fleet are drawn up. At that time I will break off the discussion and create a new R142/142A Conversion thread. Please remember that these cars should not be referred to at R188’s because they are not 11 car trains. For the time being and during the planning phase, they will be referred to as “Upgraded R142A’s.” These trains will how be completely upgraded to the R188 standard and could possible get the designation as converted train in the end. We will not know until this goes to black and white. Again, the is only in the planning phase and we have no project dates available or any timelines. This will continue to develope on a daily basis, and is officially on the Capital Plan budget as of right now. Funny you mention this because I’ve been preparing some information for you all and I was trying to decide where to put it or if a new thread should be started. After consulting with @Harry we decided its best to continue the discussion here. Again, the is only in the planning phase and we have no project dates available or any time time. This will continue to develope on a daily basis, and is officially on the Capital Plan budget os of right now. This project supports the MTA's NYC Subway Action Plan to improve customer service by making improvements on critical components of the system. This project will modify 220 existing R142A A-Division cars to the newer standards of the R188 cars. Schedule dates are not avai lable, due to project being under development. Also, do you know the timeframe? Im not surprised, they should have converted the whole fleet instead of just 7211-7590. 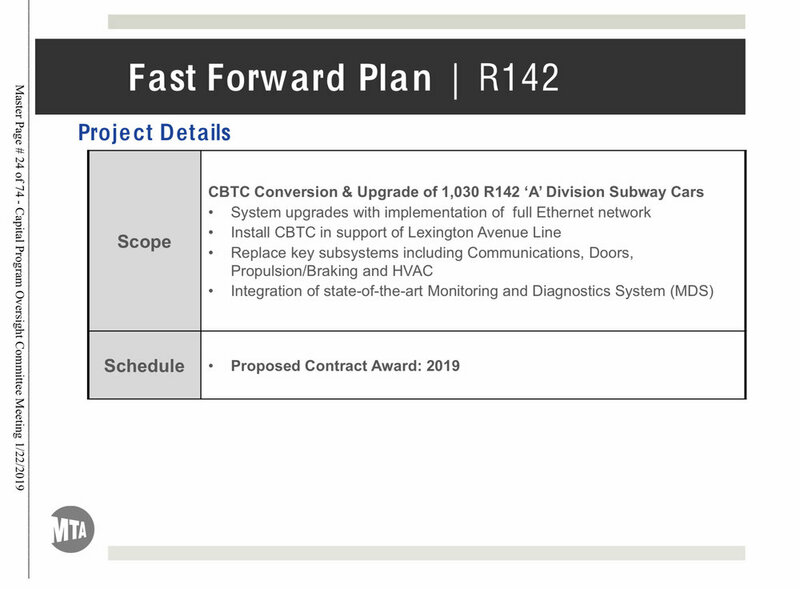 At the time the R188 was awarded, CBTC on Lexington Avenue was considered way out in the future (and even now, probably won't be done before the R62/A replacements start coming). More short-sightedness on the MTA's part, but at least they're planning on rectifying it. The R142 conversion will be interesting because I can't imagine the MTA trusting Bombardier to do the conversions in the same manner Kawasaki did (although the R188 was a special case). I've been thinking about this recently; the MTA are going to end up in a sticky situation regarding A Division rolling stock as they install CBTC. How feasible would it be to do a large-scale GOH project on the R62/R62As to bring them up to NTT standards and make them CBTC-capable? They're not that old, and the bodyshells should have lots of miles left on them if the components such as motors and compressors were replaced. This should cost less, and take less time, than an order of new rolling stock. Bombardier was offered the R188 conversion order, despite always being for the 142As. I don't think there's anything prohibiting Kawasaki from bidding on the 142 conversion project. The oldest of the 62s have been in service for over 35 years. It's not worth the expense to convert cars this old when they will likely be replaced in the relatively near-future. 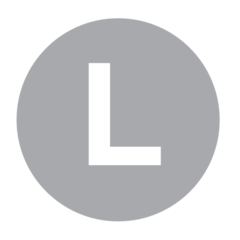 Lexington Ave CBTC may be on the horizon, but I cannot see it happening in the next decade or so and not before Queens Blvd and 8th Avenue. There's still plenty of time for the MTA to go through the ordering process for replacements of these cars. Yeah, probably right, though CBTC on Lexington would be great for the line and should be accelerated. What about, then, adding new IRT cars to the R211 order? Yes, A and B Division cars are different dimensions, but could be built with identical or near-identical characteristics otherwise - like the R124A and R143. It would be a good way to kill two birds with one stone, and the MTA could simultaneously upgrade the R142s and R142As to the standards of the 211s. And the open gangways would help out with the crowding conditions on much of the IRT. A whole new contract would still have to be drawn up for it. They are two different divisions . The train length and dimensions are totally different so you can't add IRT trains to the mix. Besides that, MTA doesn't planned on replacing any IRT cars anytime soon. In other news, I have more CBTC details and I'm going to creat a new thread on it. The R188 is the newest IRT standard for right now. Hello, everyone. R142A 7596-7600 and 7606-7610 is back in-service on the line. Aren't all the R142A's supposed to be moved to the already? Or is that happening when the final R62A leaves the upon CBTC activation? What I think would potentially happen is that the train would get the R142A once the train and the express train gets automated with CBTC. That would take the rest of the 62A currently operating on Flushing to be moved to Pelham or Livonia, which would in turn move 7596 to 7610 from Pelham to Mosholu. Probably, but I doubt it's for that. Maybe it's CBTC component related. Since this program is expanding, and will soon be public record, I have decided to split this discussion off from the R188 thread, and create an all new one. A major reason for this is, effective December 2018, MTA has decided to seek out qualified vendors with knowledge on train upgrades to begin the research process for the upgrade of the entire fleet of R142 and R142A cars. These cars will be R188 standard, however will not have the designation as they are only 10 car trains. Full report and updates coming in short order. Your the best, as usual! Thank you! A lot of people don’t understand that we do this all for you guys. When I was young there was no place to go for even 10% of the information we provide. In the process, it has proven without the shadow of a doubt to improve transit over all. We still have a long way to go, but together we can get it done. If there are questions about are R142As CBTC-ready? Answer is no. R142A has 1 operator screen, R188s have 2 screens. Consoles were completely replaced on R188s. But what I'm wondering, will Lex have the same Thales Seltrac as Flushing, or Thales equipment is blacklisted after Flushing Line and all future CBTC installs are Siemens? Did Mitsubishi ever create 3rd party CBTC equipment under the "I2S" contract? Thank you for creating this discussion board. Reading back, what and why is the major propulsion upgrade necessary on the R-142s and their Alstom Onyx? That system seems to work just fine with Canarsie CBTC on 8313-76. The jury is still out on that, but it will likely either be Siemens or Thales. The Alstom Onyx system on the R160s was CBTC ready. Yes, it is similar (and sounds very similar) to the R142 propulsion, but the hardware/software is significantly different. Also, the Alstom Onyx on the R142s is 20 years old, so it should be upgraded anyway. Yes, it is similar (and sounds very similar) to the R142 propulsion, but the hardware/software is significantly different. Sort of a side note, but I've always wondered why the R142s and R160s with Alstom propulsion sound quite similar, yet each have distinct differences? Is it just a difference in time between manufacturing, or something else? I know Wikipedia at least lists both having the same model (4LCA1640A) of Alstom Onyx motors, so I've always wondered as to the sound differences between them. In addition to the hardware/software differences, the power curves are notably different due to the fact that the B-divsion cars are bigger and heavier. The power-to-weight ratio is also different (all R160 cars have traction motors, while only one truck per R142 B car is powered). The audible sounds from the propulsion system are not from the motor itself, but from the IGBT (insulated gate bipolar transistor) inverters. The inverters take DC from the third rail and convert it to AC for the traction motors. However, changing the output speed on AC motors isn't as simple as turning a dial like it is for DC motors. Thus, the inverter works in such a way to maintain smooth acceleration, while meeting the performance curve which is set by NYCT. The inverters take DC from the third rail and convert it to AC for the traction motors. Ah yeah, I meant to say inverters. Just used to calling them 'motors' as a catch-all term for what's going on to make the wheels turn. So would the case with the R142 vs. the R160s be that the inverters are slightly different on each car, so they have slight differences in sounds (versus the inverters on, say, the R142As/143s/188s, or the Siemens R160s, or the R179s). Thank you. Can’t wait to see them. It’s good to know that they are now also actively looking to update the Bombardier R142s. Even, though the line isn’t part of the first phase of the Fast Forward signal upgrades, we should still have the flexibility to reroute trains via the and vice versa if there’s trouble on either line. The primary reason for expediting the upgrade of the R142s and R142As is to have them ready for Lexington Avenue CBTC. Given that the remaining R142As make up only half of the 's fleet, there's no way they can do just the R142As. The other half of the and all of the use R142s. I am curious to see who will bid on the R142 upgrade contract, given it's a much larger contract than the R142A upgrade even though they're similar contracts. Kawasaki probably won't as they have their hands tied with the R142A upgrades, plus the M9 and R211. Perhaps Alstom will since they did supply the original propulsion. I’d be surprised if Bombardier is barred from bidding on remanufacturing their own cars, but given how far behind they fell on the R179s, it’s certainly possible they could be barred. No doubt about that. They will need all of the R142s and the remaining R142As to be ready for Lexington CBTC. The first step towards gearing up for CBTC on the Lex should be to have all of the A-Division New Tech Trains ready for the new signaling system. They should aim for having the contracts for upgrading to the new signaling system and construction of the R262s going at the same time, so that (hopefully) there will be enough R262s to make service on the before the new signals go live. 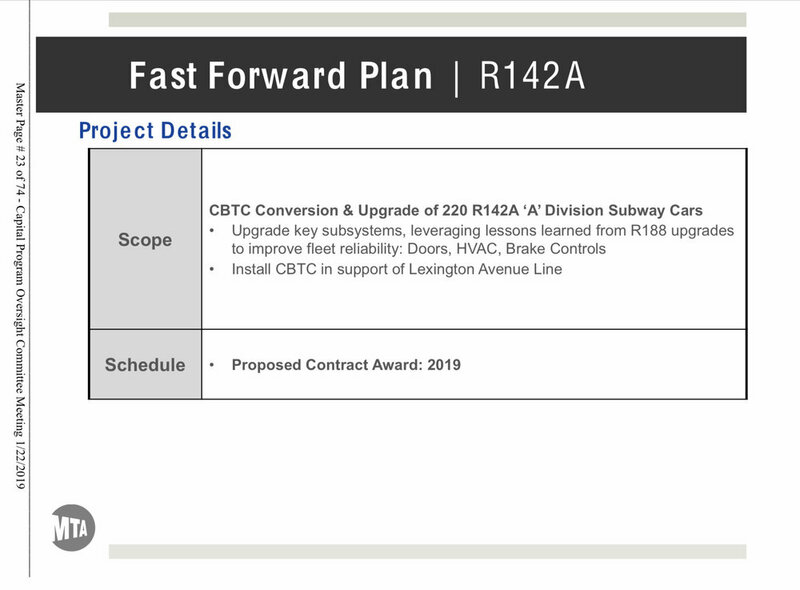 Based on the information from the Capital Dashboard, quoted by @Union Tpke here, it looks like both the upgrade process for the 142s/142As and the construction process for the 262s will occur at the same time, pending funding for the 2020-2024 capital program.